Dr. Polhemus was born in Florida but moved to Cupertino when she was five years old. She grew up in Cupertino and attended Cupertino High School. She did her undergraduate work at the University of California, Davis where she earned a B.S. Degree in microbiology. While at Davis, Dr. Polhemus was the chairperson and secretary of the Dean’s Student Advisory Committee, president of the Microbiology Club and scholarship chair for Delta Delta Delta Sorority. She also did community service for Children’s Cancer Foundation and Cal Aggie Camp for terminally ill children. She attended the Southern California College of Optometry and obtained her doctorate of Optometry in 1998. While at SCCO, she became a member of the California Optometric Association, American Academy of Optometry and the Optometric Fraternity, Omega Epsilon Phi. She also held a position on the SCCO Student Association and was appointed Who’s Who Among Students in American Universities and Colleges. She received the Los Angeles County Optometric Society Award for student optometric excellence. 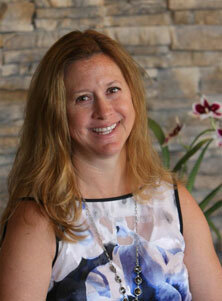 Dr. Polhemus has been practicing in Santa Clara for 5 years and opened her practice in Los Gatos in June of 2003. She specializes in refractive surgery co-management, difficult contact lens fittings, pediatrics and low vision. She is an active member of the Santa Clara Optometric Society and is currently working on Save Your Vision Month. Dr. Polhemus and her husband, Roger, live in Los Gatos with their children and two dogs. Her hobbies include traveling and experiencing good food/wine. She is a sustaining member of the Junior League of San Jose, an active member of the Los Gatos Lions Club and enjoys volunteering in the community.